Business women, female bloggers, women entrepreneurs are right up there with the best in the online competition. 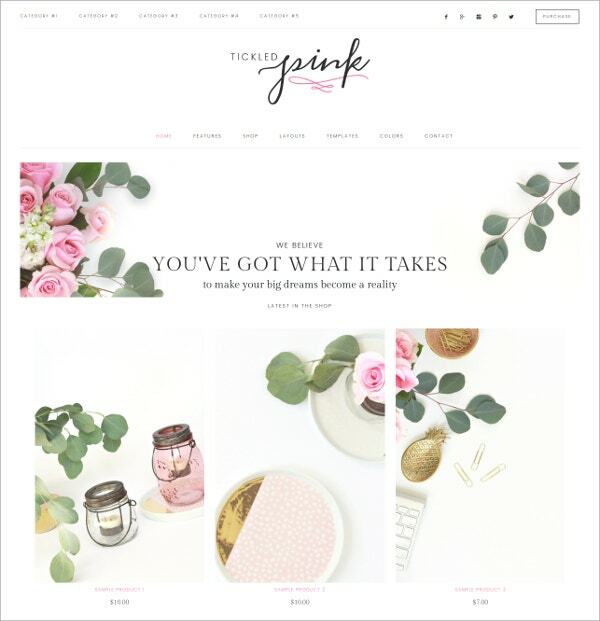 With the Best Feminine WordPress Templates, the web presence of the successful websites for women can be marked easily. These themes have compatibility with all the major browsers and thus are possible to make their blogs and business profiles available on mobiles as well. You May also See Top WordPress Templates. Be it fashion, attire, interior designs or any other topic, these themes support elegant fonts and styles. SEO friendly content and social media integrated features make it visible on the top lists of the search engines. 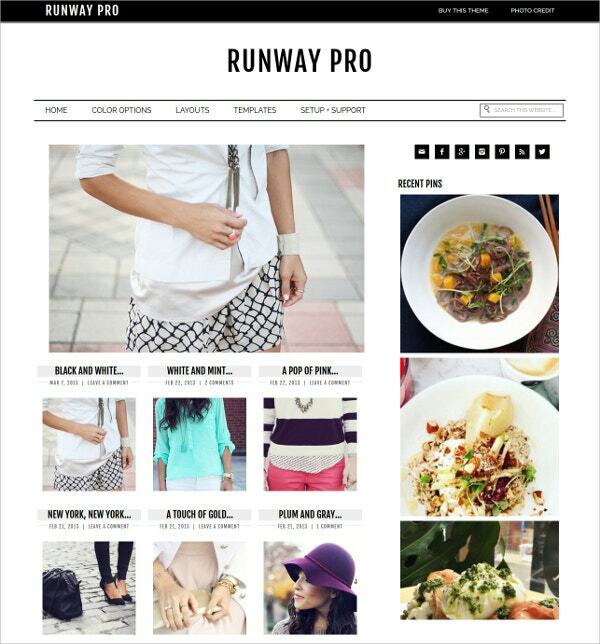 Customise the responsive design layout with plug-in and short codes. You May also See Minimal WordPress Templates. 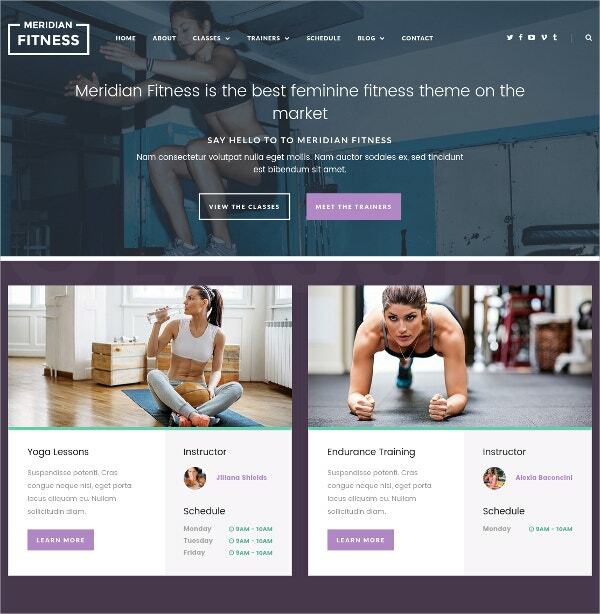 This WordPress theme-landing page is mostly yoga studios, gym and other feminine related fitness website. It excellently fits the fitness website for feminine gender. You can customize the website by choosing various options of colour. You can alter the fonts from the 700+ fonts. This is a contemporary feminine ecommerce wordpress theme, which is built on the framework, Genesis. It has two menus site. Six page layouts and three columns footer widgets. Optimization of MailChimp and SEO. It has responsive gallery and has options of four colour schemes – green, pink, coal and gold. 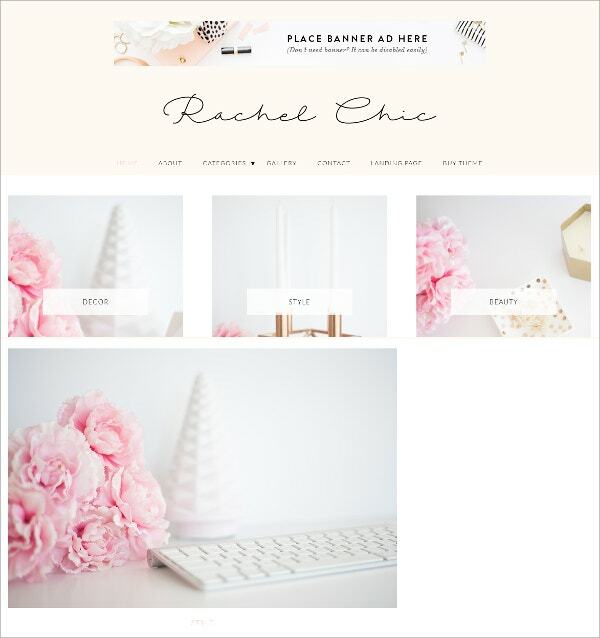 Rachel theme is a feminine wordpress theme for blogging subjects related to fitness, fashion, food recipe etc. Customize options for pages, categories in the menu and web links. Social media accounts icons in the footer. You can easily customize the page as your own by uploading your logo and the colour of your theme. This feminine wordpress theme has varieties of options for colours you can select. It comes with 6 varieties of layouts of different designs. Customize the header, background, images, options of the themes. Slider option which can be used as space for Ads. 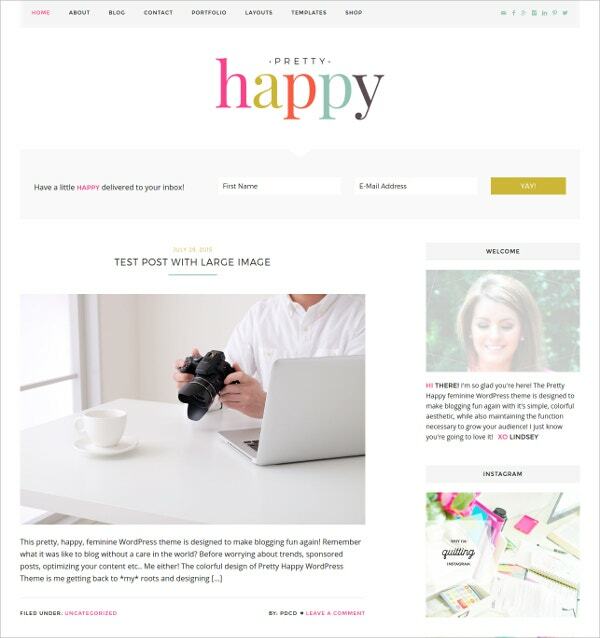 It is the perfect theme for professional blog and bloggers. 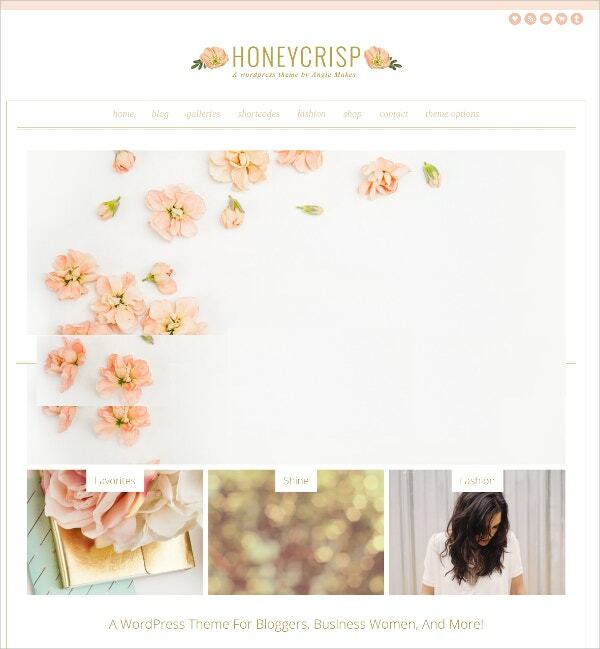 Honeycrisp is a feminine wordpress theme for bloggers who writes anything or everything they desire to write. Integrated MailChimp and integrated social media. It has slider-post, gallery post, and pages templates formats. You can preview the changes you make on the theme before you save it. 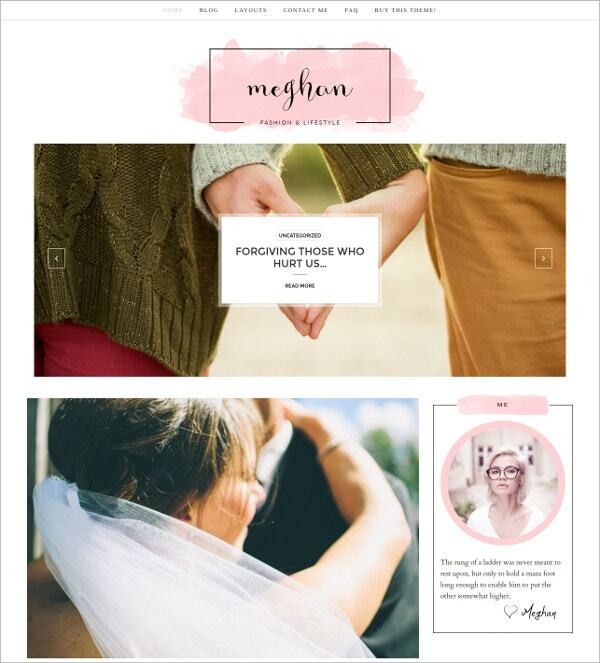 This tickled pink feminine theme fits, flexible and adaptable to use on your site or any other you want to use for. Customization of your own logo and background. This theme has Instagram feed and other social media icons. If you are looking to start any personal blogging, then this is the best theme you can choose. 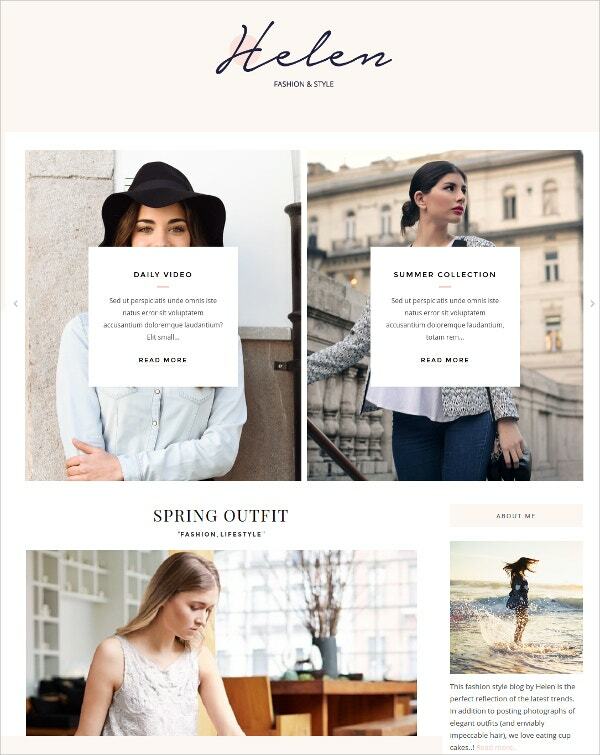 You can choose from 140+ options for styling the page and very feminine layouts options as well. It gives you easy customization of your blog by altering the colours, fonts etc. Either for business or for personal blogging, this is the right theme to start with. You can edit colour and have 600 plus google fonts to select. The photos will resize automatically if it goes beyond the frame. It is also very mobile friendly-very feminine based theme. 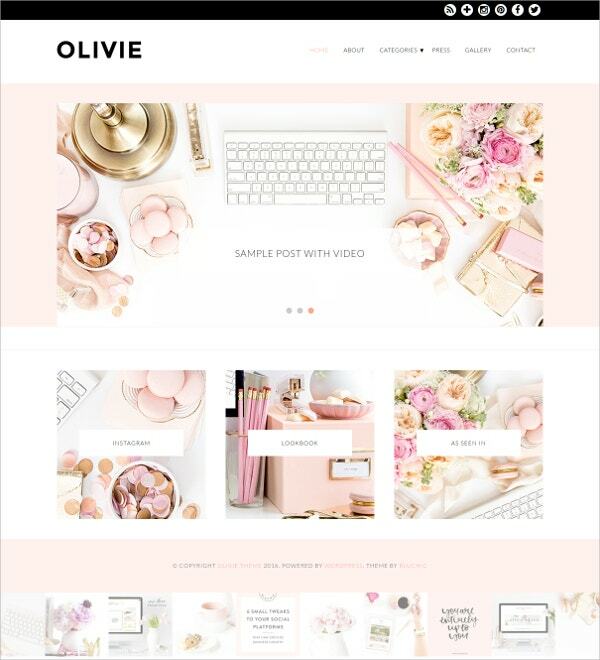 Olivie Theme is a feminine wordpress theme, which is designed for bloggers who blog about lifestyle, fashion and beauty related topics. It has pages, categories and posts sliders. Customized MailChimp styling with newsletter form for signup. You can add your social media accounts icon at the start of the page. This one is a beautiful, colourful and stylish feminine ecommerce wordpress theme for ecommerce purposes. Categories can be customized to subcategories. There are 20 plus wordpress tutorials video for the entire theme. Fast to load the page and also the dashboard has many options which you can customize with ease. 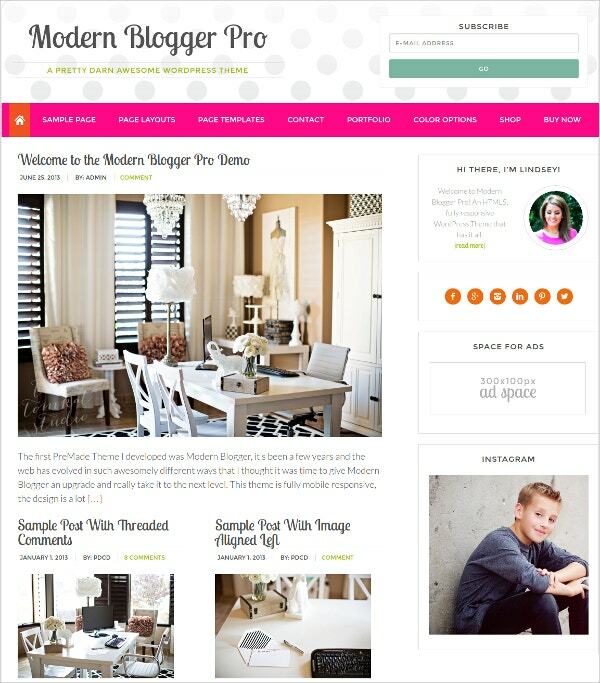 This is a feminine wordpress blogger theme, which is simple yet contemporary in design. Optimization of SEO. You can also select google web fonts and easily upload boundless customized fonts. There are various spaces for Ads banners. Customization of the colour and images on your site are simple and easy. It is a WordPress theme based for such events such as engagements, wedding and many event related purposes. It comes with Instagram feed and Photoshop file. It has Google fonts, which are free to choose. It has boundless colours to select. You can make it multilingual ready. 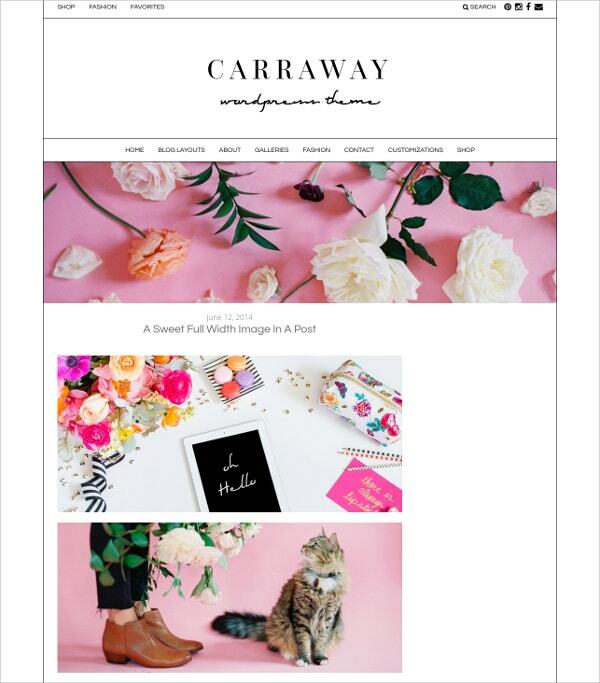 The Tawney is a feminine wordpress theme, which is a responsive theme by nature. The dashboard comes loaded with many options. Customization of colours, backgrounds, header etc. It supports Internet Explorer 8 and above, Google Chrome, Opera, Firefox, Safari etc. 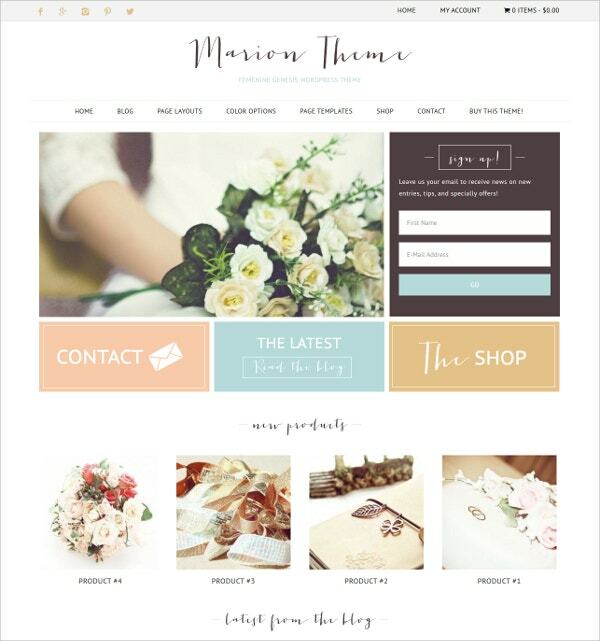 The Mary Kate feminine wordpress theme is specially designed for blogging, to setup online shop or for your website. Customization of colours of your site, fonts, and images. It easily fits on your smart phones, iPads and other devices. 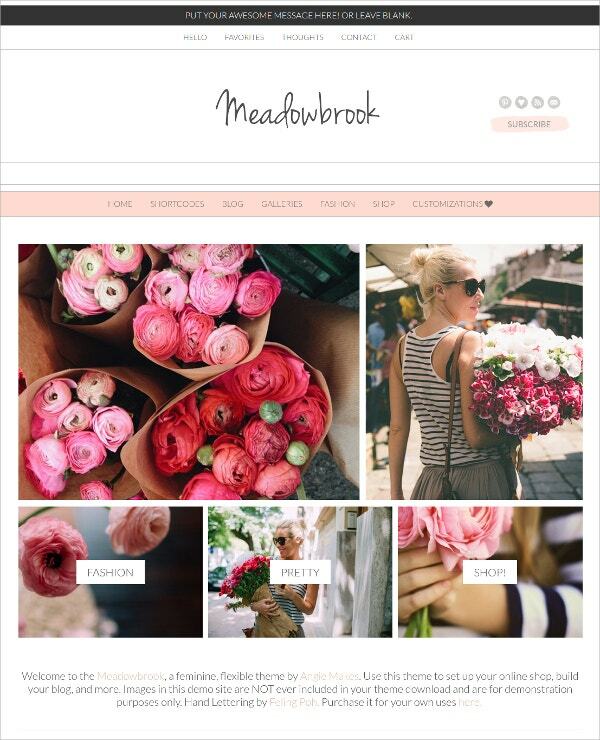 The Meadowbrook boutique is wordpress theme is of feminine design for blogging, shop setup or you theme for your website. Flexible and fits on your phone, iPad devices etc. It is so easy to configure. Customization of fonts, images and colours options are available in plenty. 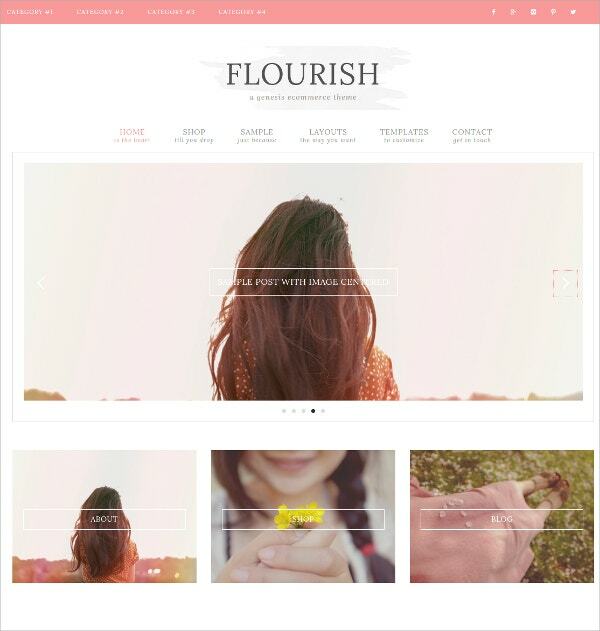 It is a feminine and graceful wordpress theme designed in such a way that your website shines with fascination. Boundless colours of 55 plus options. Adaptable to any latest versions and changes of wordpress. This theme is of easy customization and let it stand out in the crowd. 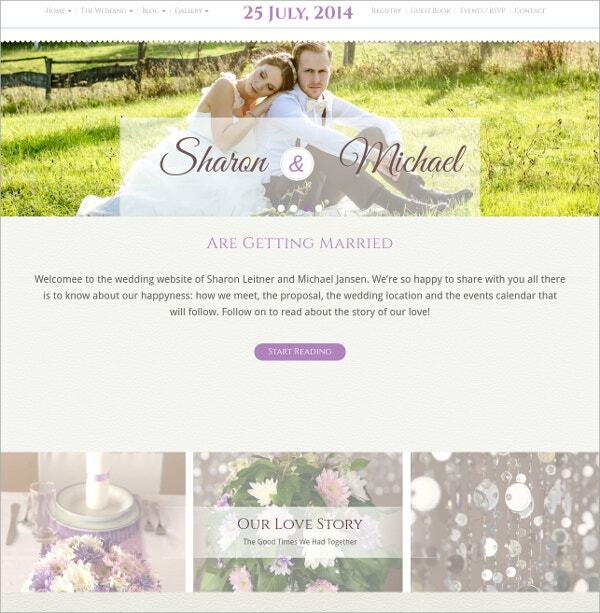 As the name suggests, this theme is for wedding related and very feminine website. It is easy for you to alter the patterns such as background and colour. It comes with a timer option. 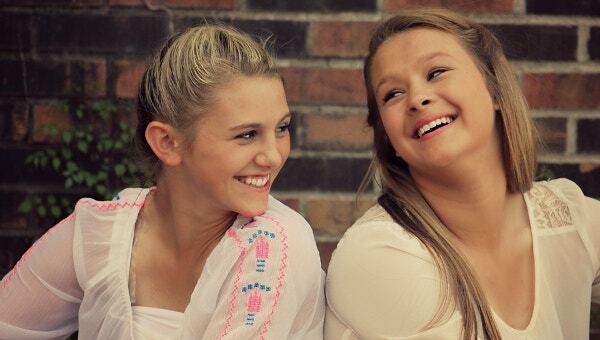 You can filter the photo gallery as well as the blog posts. It has boundless combination of colours. 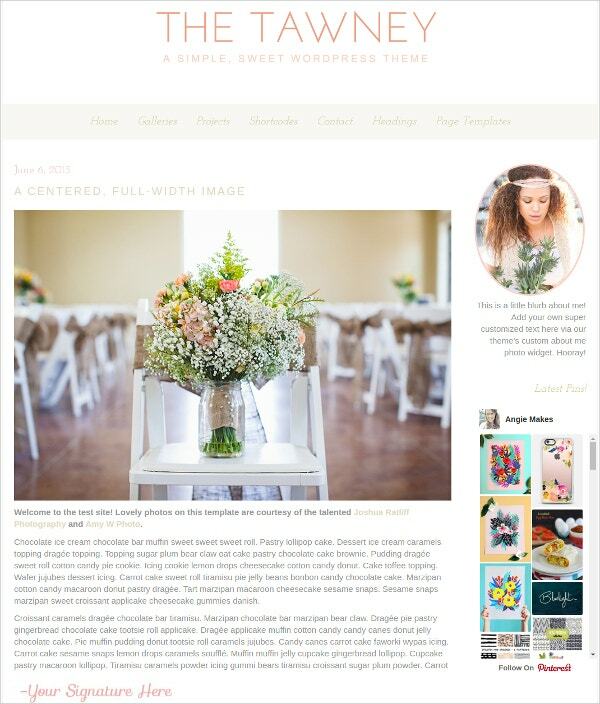 Lucy and Lane is a very appealing feminine wordpress theme having designs for magazine and or blog. It has multiple layouts to choose from, for the blog. Customization of image, colours, fonts including google web fonts. It supports advertising space, ecommerce and multimedia etc. This is a strikingly beautiful feminine theme, which will help you in the growth of your business and can Instagram instantly. Ad space in the footer and also social media icons. Customization of your background and logo. 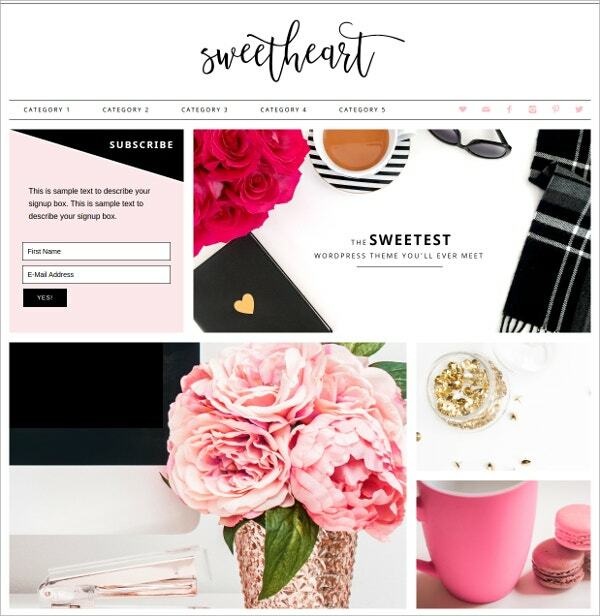 This theme works on any site, be it personal blogging or for business. 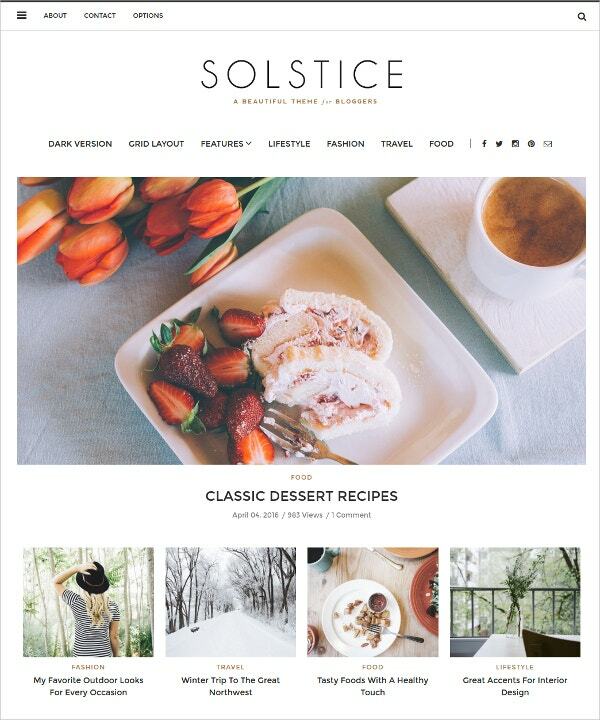 This theme is a feminine theme created by genesis theme for self-hosting wordpress only, easily adjustable yet fashionable in design. It has two layouts and four templates. It comes with eight colour designs. 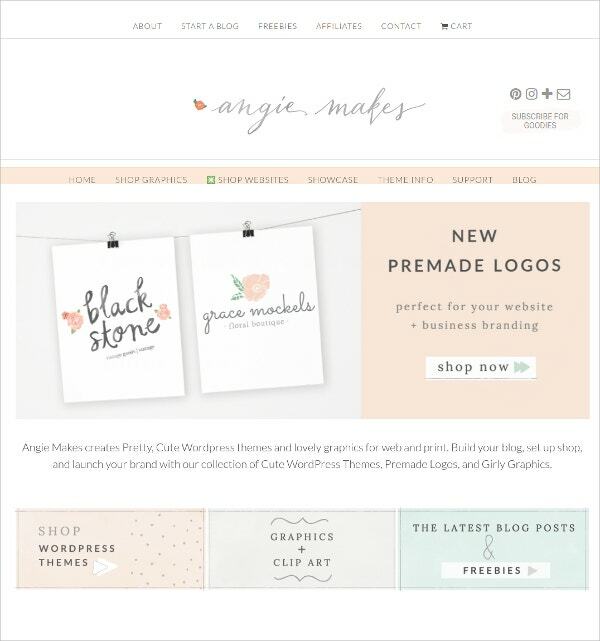 You can add your own logo and header to customize the site like a pro. 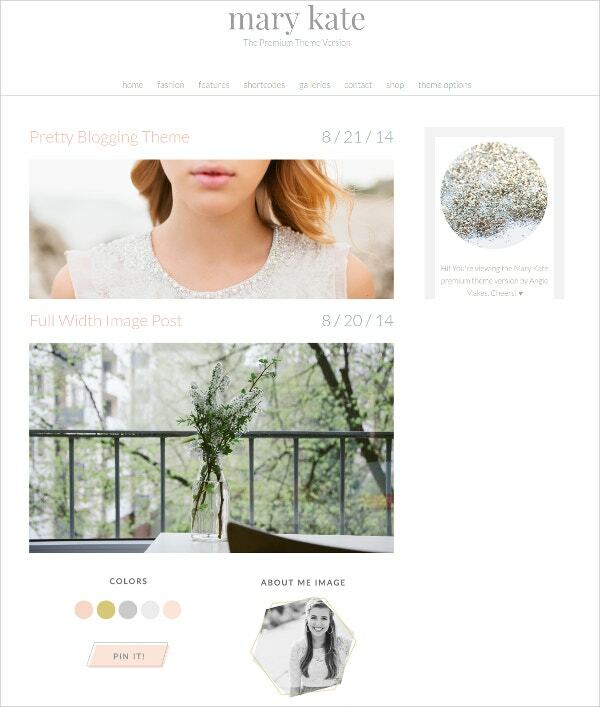 This is another feminine wordpress theme and you can use it for your blog or website. Three layouts and four templates. Customization of colours with the help of the wordpress customizer. Customized beautiful homepage fits and responsive to mobiles. It has social media icons for navigation etc.